In her role, Vaishali is responsible for brand growth for the firm. She sets the marketing strategy to generate leads and nurture existing relationships through an extensive omni-channel marketing program. Vaishali has more than 10 years of strategic brand development experience across a multitude of large electronics firms. Prior to joining Davis & Company, she was the Marketing Director of a global audio company leading the online and offline marketing strategy for North America. 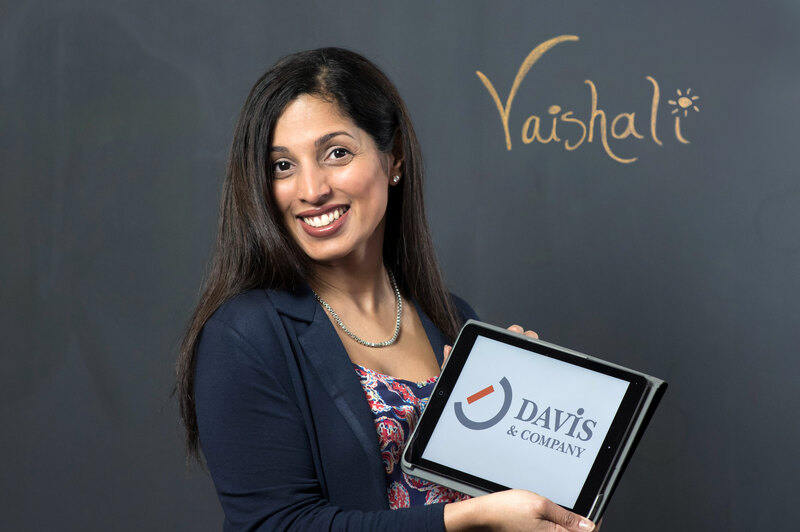 Vaishali has a business degree in marketing, and a degree in Japanese from the University of Massachusetts in Amherst. I was responsible for leading an integrated online and offline campaign for an audio product tied to a breast-cancer awareness charity. This campaign was focused solely on cause-related marketing initiatives resulting in the most influential brand engagement from the entire community both internal and external. My own life is an inspiration and people that come in and out of my life. My first job out of college was in Ishinomaki, Japan as an English teacher. I lived there for three amazing years. Being able to understand and communicate in a different language connecting me to more people and experiences. Tie between Japan and Thailand. I really HATE scary movies. I don’t like Halloween. This is simple. Quiet. A comfy couch. A great bold-tasting malbec and bitter dark chocolate. Although I never have it—a cheeseburger with everything on it (except lettuce), seasoned curly fries and a vanilla milkshake. I don’t really like ice cream. More of a cupcake fan.